Access Clean Water when Traveling, Preparing, Camping, Hunting and Backpacking like Never Before! You can easily clean it with blowing from outlet. 1. The first sucked the water should be spitted out. 2. Avoid use in salt water. 3. Do not put it in water that is above 50 ℃. 4. Please use clean water as much as possible because the pipe can be easily blocked by dirty water. ✅Simple To Use and Clean. No need for batteries and changing parts. 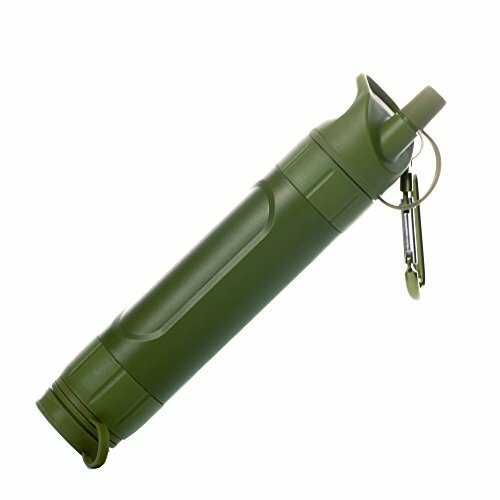 You can use it directly in the river, stream, lake and can also connect it with water bag, bottle and tubes to drink the clean water. ✅PACKS EASY AND TAKES UP LITTLE SPACE: Compact design weighs only 3.5 ounces (100 grams) and is 7 inches long. You never need to carry water with this lightweight water purifier. ✅It is PERFECT FOR THE ULTRALIGHT BACKPACKER, camper, hiker, traveler, boy scout, hunter or for emergencies. Filter is used around the world under extreme conditions for humanitarian relief. ✅MONEY BACK GUARANTEED We are confident in the quality of our product. If you don't get the quality you expect, a full refund will be given to you. If you have any questions about this product by Monblan, contact us by completing and submitting the form below. If you are looking for a specif part number, please include it with your message.